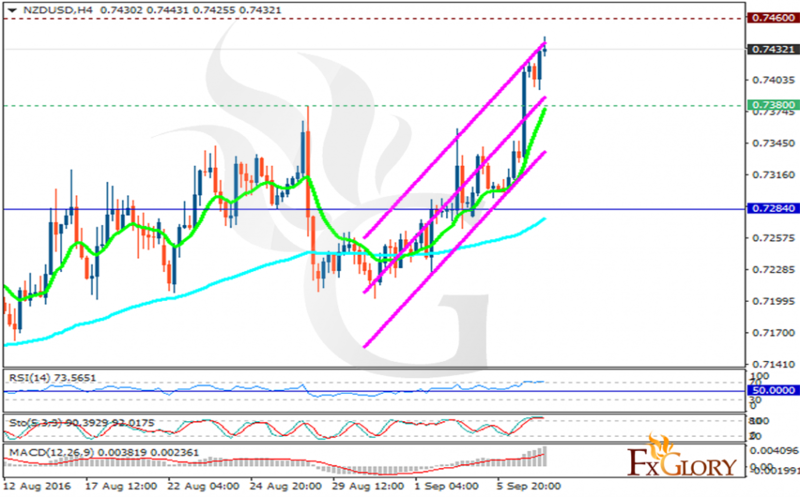 After the sudden rise yesterday there was a pullback but the pair continued its growth again. The support rests in 0.73800 with resistance at 0.74600 which both lines are above the weekly pivot point 0.72840. The EMA of 10 is moving with bullish bias above the EMA of 100. The RSI is moving above the 50 level, close to the overbought area, the MACD indicator is positive territory and the Stochastic is moving in its maximum rate. The support level breakdown will be a good sell opportunity targeting 0.7200 otherwise long positions are recommended at this point.